If you're looking for the best quality Bumper Plates on the market, look no further! Built for accuracy and durability, our plate are the choice for the serious weightlifter. Parts made of polyurethane will often outwear other materials when severe abrasion is a factor. It has been proven to be vastly superior to rubber plastics and metal in many applications. Polyurethane has excellent resistance to oils, solvents, fats, greases and gasoline. Polyurethane has a higher load-bearing capacity than any conventional rubber. 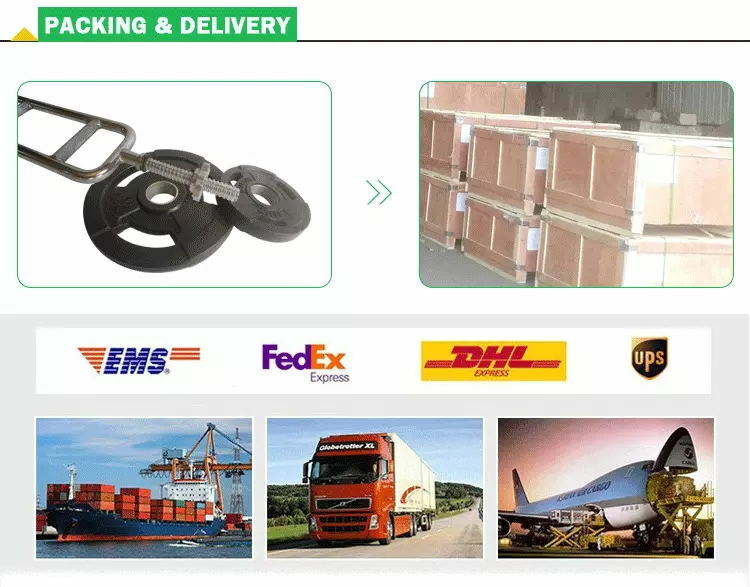 Because of this characteristic, it is an ideal material for load wheels heavy duty couplings, metal-forming pads, shock pads, expansion joints and machine mounts. Tear-strength ranges between 500-100 lbs/linear inch, which is far superior to rubbers. As a result, urethane is often used as drive belts, diaphragms, roll covers, cutting pads, gaskets and chute liners. Polyurethane has outstanding resistance to oxygen, ozone, sunlight and general weather conditions. The hard urethanes are now being used as gears in products where engineers desire sound reduction. The soft urethane are is used to replace rubber for improved sound/vibration dampening. Most formulations offer extremely high flex-life and can be expected to outlast other elastomer materials where this feature is an important requirement. Dust boots, bellows, diaphragms, belts, couplings and similar products are made from urethane for this reason. Continuous use above 225°F is not recommended nor is urethane recommended in hot water over 175°F. At low temperatures, polyurethane will remain flexible down to – 90°F. A gradual stiffening will occur at 0°F, but will not become pronounce until much lower temperature are obtained. PU Coating Cast Iron Barbell Weight Plates, include Kg/LB Change Plate, Fractional Change Plate, Competition Plates, Standard Weight Plates and so on. Looking for ideal PU Coating Barbell Weight Plates Manufacturer & supplier ? We have a wide selection at great prices to help you get creative. All the Cast Iron Barbell Weight Plates are quality guaranteed. We are China Origin Factory of PU Coating Cast Iron Barbell Plates. If you have any question, please feel free to contact us.